Sanibel Yoga. The Only Yoga studio on the Islands. 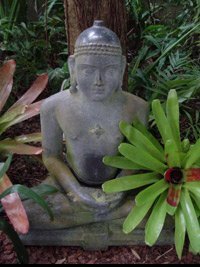 Susan Pataky, owner of Sanibel Yoga & SOULSTICE, has specialized in using yoga for health, healing, and personal transformation for almost 4 decades. She specializes in imagery, breathwork, sound & various energy balancing therapies to assist people with maintaining health, pain relief and/or the restoration of balance & vitality & radiance even when facing life challenges. Dr. Susan adapts a multidimensional approach, which may include yoga, meditation, pranayama-breathwork, spirituality, Asian meridian theory, energywork, sound, aromatherapy and SOUL re-connection to address the individual's needs, concerns & goals thus Co-creating a self healing journey in a safe supportive non-judgemnetal environment. Check out her other website www.bodymindsoulstice.com for more information. 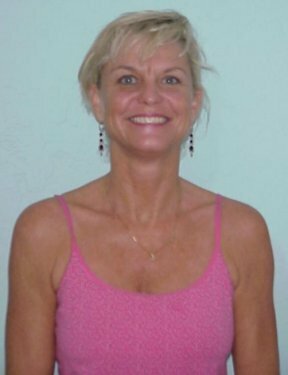 Dr. Susan Pataky is a year round resident of SW Florida and teaches exceptional Yoga classes of many different styles on both Sanibel Island and Captiva Island. She also offers Yoga Therapy, Holistic Health & Yoga retreats, Natural Health conferences and informative Wellness Seminars on Sanibel Island. She is a member of the Sanibel-Captiva Chamber of Commerce. Dr. Susan Pataky has extensive training and numerous degrees in the medical and holistic health field. She's personally practiced & studied Yoga for 4 decades and has taught continuously since her certification in 1979. 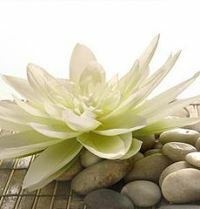 She offers various holistic services for those desiring Radiant Health & finding Authentic Self-the Soul. Susan, a formally trained Naturopathic Physisian(ND), received her Doctorate in Naturopathic medicine at the University Of Bridgeport(UBCNM), this education included classes & a research thesis with Yale University. Susan is a Certified Yoga Therapist and IAYT member, Ordained Minister & Nationally Certified Massage therapist. She presently offers corporate, private & group yoga classes, workshops & retreats as well as offers private Sprirtual & Energywork sessions on Sanibel and Captiva Islands, Florida. She is a 21yr member of the AOBTA ( American Organization for Bodywork Therapies, a member of IAYT (International Association of Yoga Therapists)and former board member of the FNPA (Florida Naturopathic Physicians Association) - the only Florida association representing Naturopathic Physicians. Her exceptional and educational Yoga classes are an infusion of many styles with emphasis on structural alignment to highlight the pathways of healing energy within. You'll find that end result goes well beyond the usual 'post' yoga class feeling of refreshed & calm. Private or Therapeutic yoga sessions are the ultimate personalized experience. Experienced yoga students can focus on refinements to further their yoga practice and clients with health issues have improved their situation enough to move to a group class or a more advanced class. Dr. Susan is a Fairfield County Connecticut native where her highly successful business, The Body/Mind Connection, operated from 1986 till her move to SW FL in October 2003. (Hence the website name www.bodymindsoulstice.com) Her clients have run the gamut from entire families, major corporations, TV personalities & rock & roll legends. Dr. Susan presently is the founder & owner of Soulstice- "Inspiring the integration of the Body, Mind & SOUL"..Naturally since 1979. Serving SW Florida including FT Myers and Sanibel/Captiva Islands. She has been member of the Sanibel-Captiva Island Chamber of Commerce since 2005. Her latest venture, SANIBEL YOGA, 2496 Palm Ridge Rd opened October 2009. Within our body flows the support of life. A formless tapestry of energy that beckons growth & expansion. Healing & creative energy of which we know little about---ie. the true power & magnificence of all that is. It is our spiritual connection to Universe, the Cosmic support of ALL life. Refusal to flow w/ the support of life or rejection of that spiritual connection alters our internal landscape & our capacity to connect with SOUL, LOVE, GOD. Ruminations from Ego & muscular contraction squash pulsations of the life force energy. Our physical structure adjusts accordingly & manifests the only way it knows how to; by hardening & drying up. Pain also triggers our body's alarm system which in turn sets off muscle reactions to grip, harden & splint the area desperately trying to do the only thing it knows how-'protect the area'. These artificial 'splints' impair & inhibit the formless energyflows within (Prana, Chi, Ki). Thus creating the inability to nourish, neutralize & heal the region. By releasing muscular tension we can re-establish these formless energyflows to move to/thru any area, hence restoring equilibrium; homeostasis, balance. Then the Body/Mind/Soul heals. When we align w/this energy and train it up inside us we no longer remain in a state of pain or ill health. We become Vital, Radiant & free to be all that we can be. We are all infused with this vital life force energy. We are all meant to have a dynamic flow of this energy. Dr. Susan has mastered the art of teaching, guiding & assisting others to find, feel & harness the power of their own energy, to overcome present difficulties and transform into radiant luminosity. By shifting the paradigm from external reference to internal reference we may distinguish 'who' we are from what we've been told we are and more importantly shift away from the 'stories' we tell ourselves. Her skillful assistance and encouragement allow one to gently reclaim one's own power, attune to inner guidance and balance, build, transform, evolve & finally connect back to SOURCE-Spirit. Various natural healing modalities and techniques are customized on an individual basis so to perfectly attune and connect with the vital healing energy & thus orchestrate the healing response throughout the organism. This includes instruction on how to develop skills necessary to sustain health and vitality. Sessions honor the uniqueness & space of the individual-body/mind/spirit to restore the natural pharmacy within WITH beautifully balanced internal rhythms. Integrating the Body, Mind & Soul.......Naturally since 1979. Natural Alternatives for Radiant Health & Vitality! Quality of Life can exist again. Re-define your Life. Implement Healthy choices.Eliminate effects of stress with customized protocols & skills for everyday application. Feeling as if nothing works toward your goal of being healthy, pain free, or complete and whole again? The answer is simple. 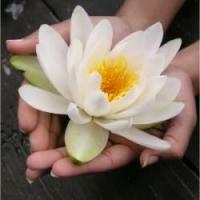 Many of us perceive healing, cleansing and de-toxing as exclusively a physical action. The powerful truth is that our physical body is merely reflective of the landscape within. An out-picturing of our emotional, spiritual and mental selves. By addressing what is happening on the inside these changes WILL automatically reflect outwardly. Reclaim your birthright of Vibrant Health, live life to its fullest again. Each session is personalized for YOUR particular needs and goals. Clear old patterns, unwind your historical limitations and integrate energies for new healthy states of being. Release your chronically tight areas and 'hot spots' & alter the habitual responses to the stressors in your life. Develop skills necessary to perfectly attune & mobilize the body's vital force to orchestrate coordinated healing responses throughout your organism. While focused inward one can connect to Soul's desires, resulting in the return of emmense Joy, Radiance, Health, Vitality & of course, PEACE! A limited number of blocks, blankets, straps & mats are available for use(free) during class.All Classes are held at Sanibel Yoga's beautiful studio located at 2496 Palm Ridge Rd. No membership required. Class fee:$17 drop-in. Assorted Package discounts available. Due to immense popularity, class is 1st-come-1st-serve. Available year round. Indoor or Outdoor. Your place or our studio. By your pool, on the Beach, at your facility. Private: Single, Duets, Family or Group.